Product introduction and some system requirement. How to setting One page checkout for Virtuemart? 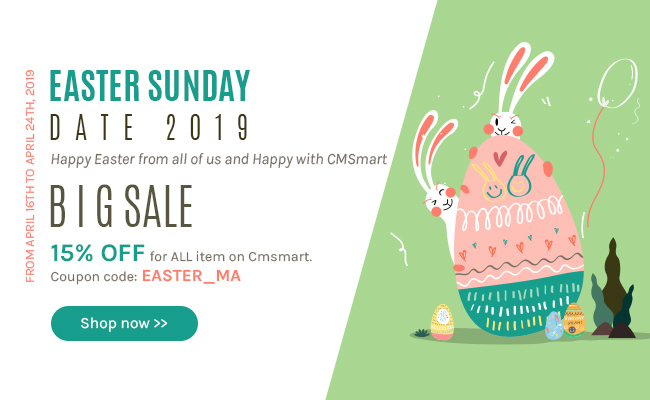 One page checkout for Virtuemart is one of the best-selling items on Cmsmart marketplace since it was published in 2013. More than +1250 items was sold up to now and we think customers were satisfied with it. The continuous improvement of product is our ongoing effort to enhance the quality and to adapt customers demand. One page checkout for Virtuemart 5.0.0 is our new product updated on Aug 2015 that helping users to shorten payment steps and manage website interface easily. It runs on Joomla 3.4.x và Virtuemart 3.0.9.4 and we used latest technology as API to process data; Jquery (v1.11.2); Jquery UI; CSS3, HTML 5 and Ajax. One of the new features of one page checkout for Virtuemart 5.0.0 is changing color, font and icon positions. Furthermore, it uses advance technology of Ajax that helps customers to quickly manipulate without reloading their website. Besides that, it helps limit draft order created and allows customers with limited orders each day. - Visual Editor: Enable customers arrange blocks in order and customize its color and fonts. - Arranging Billing info and shipment address in order of displaying. - Intergrating multiple languages in OPC such as Spanish, English, French, Russian, German, Dutch, ect. - Improving register function when you checkout, it is great step on One page checkout 5.0. - Compatible with products supporting the coupon code. - Compatible with Virtuemart payments; shipment and the third parties. How to setting Backend and Frontend in One page checkout for Virtuemart?